introduction by Chris Ware The best kept secret in the last twenty years of comics is probably Storeyville. 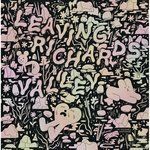 There is no other comics piece that so successfully captures the propulsive, American energy that we associate in literature with the works of Walt Whitman and Jack Kerouac. Storeyville was sui generis at the time of its original 1995 release when it appeared in the form of a 40 page tabloid newspaper. An epic poem in comics, it reveals previously unexplored depths to the form. Employing an artistic daring that was at the time without peer, Storeyville incorporates elements of expressionism and impressionism in ways that had never before been attempted in comics, blazing a trail that remains only rarely trodden upon even to this day. It is our sincere hope that this hardcover edition published by PictureBox will usher in an era of more adventurous comics work. When it was originally published in 1995 it was very well received and quite influential among select members of the then nascent group of literary comics creators that are now riding high. Among its biggest fans was, and remains, Chris Ware, who has written a heartfelt introduction for this new edition that concludes: "... this groundbreaking book takes on a life of its own and asks of the reader a simple compassion that left me, for one, changed that day in 1995 [when he first read it]. It's a compassion I've remembered ever since, and it's as real and affecting to me now as it was then. I consider reading Storeyville for the first time one of the touchstones of my life as a cartoonist, and the book itself one of the landmarks of comics' development. I am absolutely delighted to see it reprinted for a new audience." 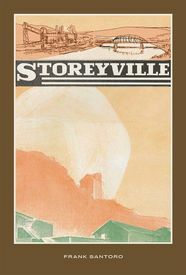 This edition also includes an afterword by publisher and noted comics scholar, Dan Nadel, that provides the background of Storeyville's development. For a closer look at this landmark work, we refer you to our review of its original release, here. Also, there is a nice piece on it written by Mike Machosky for the Pittsburgh Tribune-Review. And, if you still need convincing, read this excellent, in-depth review by Charles Hatfield.